Iguazu Falls: Which side of the South American stunner should you see? 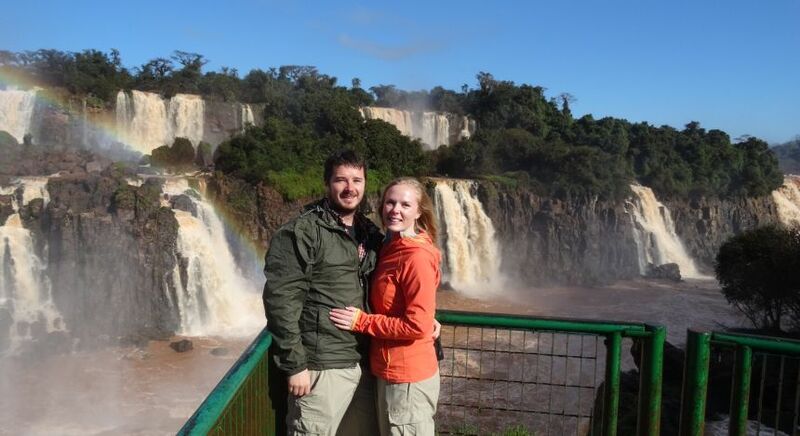 The Iguazu Falls are an absolute highlight of a South America vacation. 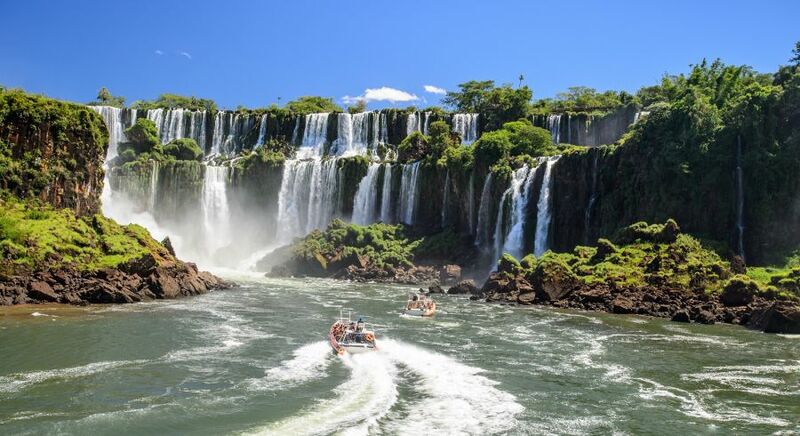 Located on the triple frontier of Argentina, Brazil and Paraguay, you can see the world’s largest waterfalls from the Argentine side as well as the Brazilian side. But, which side is better for you? Here’s your lowdown about what to expect, the most popular things to do, where to stay at Iguazu Falls, and how many days you need, to experience this UNESCO World Heritage site in all its glory! The Iguazu Falls is considered the most spectacular waterfalls on earth! Imagine 20 giant waterfalls and over 250 smaller ones plummet down 80 meters to the earth – that’s the Iguazu for you. 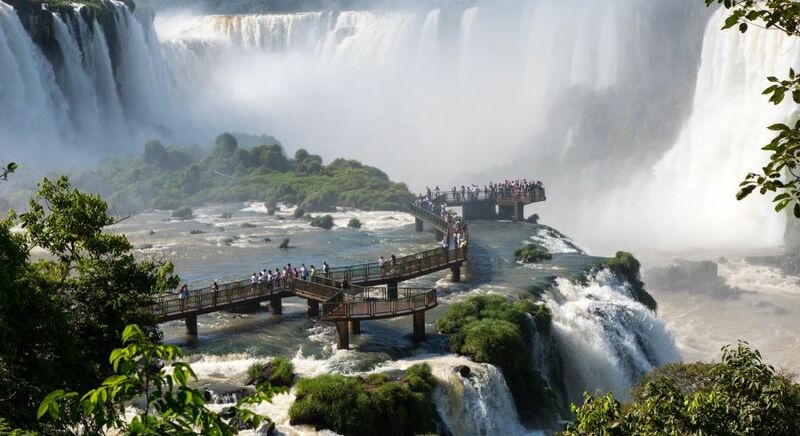 Nearly 80 percent of the falls are on the Argentinean side and about 20 percent on the Brazilian side. The falls extend for nearly 2.7 kilometers, making them three times as wide as Niagra! The waterfalls and national parks on either side of the border were deemed UNESCO World Heritage sites in 1984 (Argentina) and 1986 (Brazil). Today, nearly 2000 protected species call it home. Impressed yet? Wait till you see the sheer size and volume of the falls for yourself. Words cannot describe this South American stunner – perhaps the most spectacular waterfalls on earth!! Your ears buzz from the thundering roar of water. Your heart beats faster as your boat crawls closer and closer to the spray. Your breath falters as your helicopter climbs higher and higher over the cascade, affording a panoramic view of the sight before you. Soon, you’ll be gazing down the Devil’s Throat in awe, stunned at the overwhelming power of nature at its rawest best. 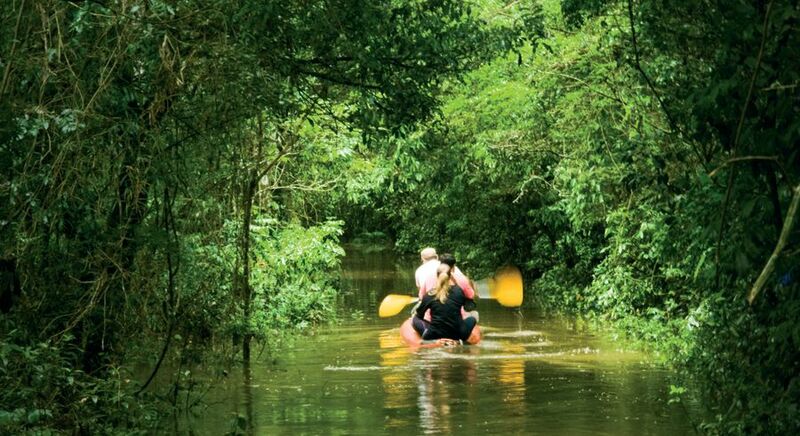 Go now, for the magic of Iguazu needs to be experienced firsthand. 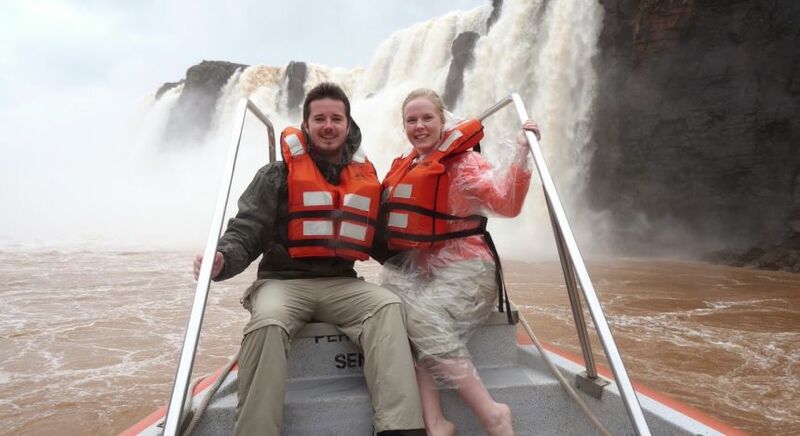 To ensure that your Iguazu trip is perfect to a T, we compiled some handy travel tips and information. 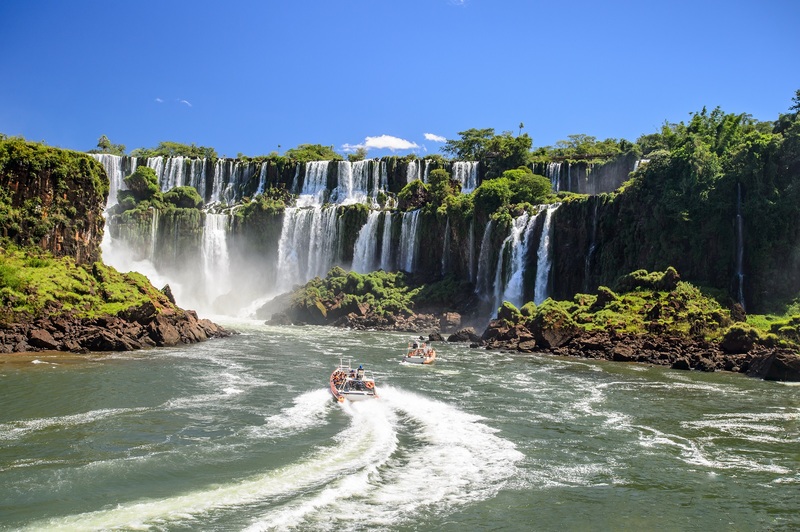 Which side of Iguazu Falls should you visit – Brazil or Argentina? Brazil or Argentina? Which is the best side? Do I really need to visit both sides of the Iguazu Falls? Many of our guests often wonder about this while planning their tour. If your itinerary allows it, visit both! Each side has its own charm and offers different, unique experiences. On the Argentine side you can hike down several nature trails near the waterfalls. This is also your chance to get up close to the Garganta del Diablo (Devil’s Throat). On the Brazilian side, enjoy a panoramic view of this natural wonder. There is a beautiful bird park for avian enthusiasts. The Brazilian side of the Iguazu Falls (Iguaçu in Portuguese) is easy to access. Shuttle buses take you to a path that leads to various viewing platforms. Right at the end of the path lies the best platform of them all, which you can access through an elevator. From here, expect panoramic views of the Argentine side – you’ll get an impression of how impressive the falls are and also have fantastic photo ops. What can I do on the Brazilian side of Iguazu? Although this only lasts for ten minutes, it may just be the most exciting ten minutes of your life! Take a helicopter over the falls, swooping in to get a closer look at Devil’s Throat. 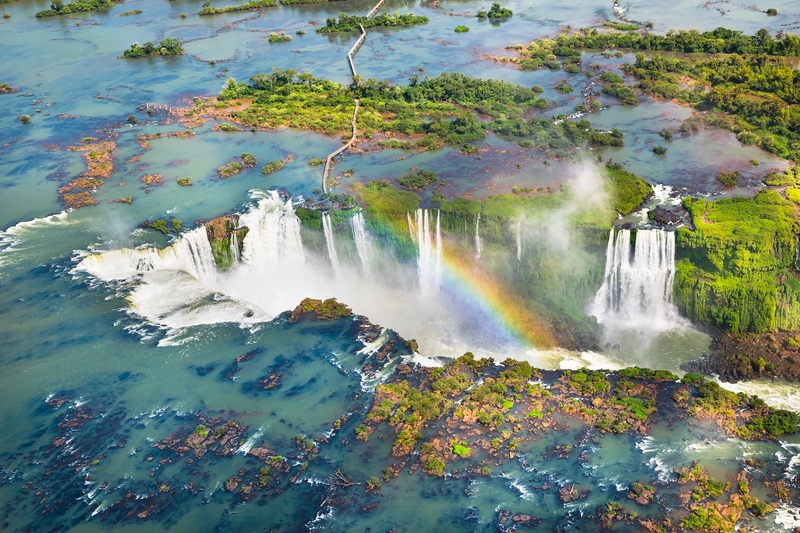 The magnificence of Iguazu is best appreciated from a bird’s eye perspective! The colorful toucan is the undisputed star of the Brazilian bird – see them from up close at the park. 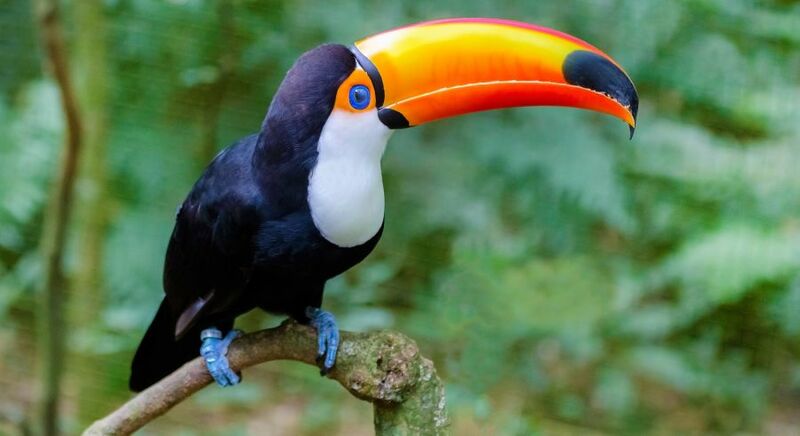 The colorful toucan is one of the most popular residents of the Brazilian bird park. The bird park on the Brazilian side is a real gem. Since you only need between three and four hours to see this side of the falls, there’s enough time for an afternoon visit to the park. More than 140 species of exotic birds inhabit this 16-hectare site. 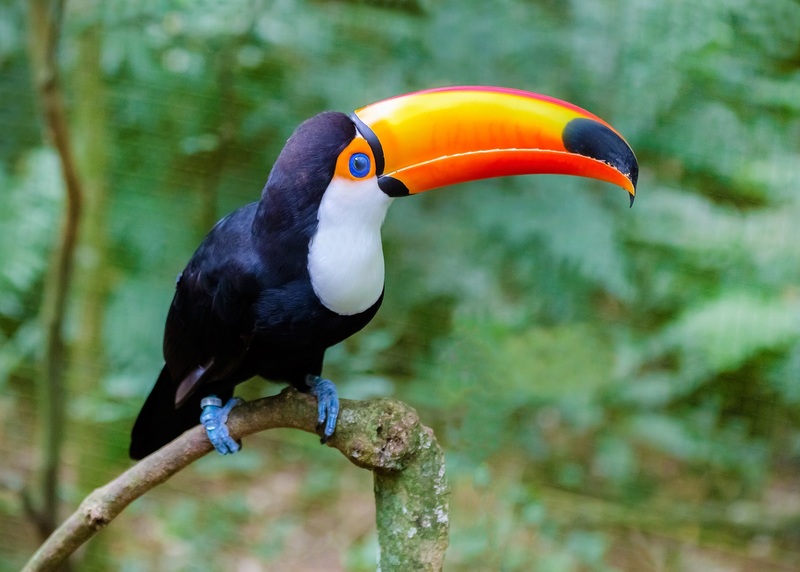 The undisputed star, however, is the colorful toucan, which you can see from up close at the park. This cute little thing is also great company – often flitting from branch to branch in order to follow you. You can also see parrots, hummingbirds, flamingos, emus and owls at the park – and perhaps even a snake or two! Worry not, our expert guides will keep you safe while showing you around. The Argentine side takes you closest to the falls and – if you’re brave enough – straight into it! Upper circuit: The upper circuit extends for two kilometers along the waters edge to the Mbigua Waterfall, where a viewing platform offers great views of Iguazu. On the way, you’ll pass several smaller waterfalls and have the chance to look down the gorge. Lower circuit: Boardwalks lead you along the lower ravine right up to the falls. You’ll need to be physically fit for this challenging walk, and be rewarded with changing views over the falls. Being drenched by the spray provides welcome relief! The Devil’s Throat is the biggest highlight of the Argentine side. You can easily reach this with a train ride, which is included in your entrance fees. You can also follow a trail to it, but the walk is definitely less exciting. From the train terminus, it’s just a kilometer on the footbridge over the Iguazu River to get to Devil’s Throat. Nearly 2,000 cubic meters of water cascade 82 meters down every second – it will take your breath away! Expert Tip: Save Devil’s Throat for last, for this is the highlight of your visit. Take the last or second last train up with few other visitors and you will be able to enjoy the spectacle undisturbed. What can I do on the Argentine side of Iguazu? Two boat tours are offered at the national park: the ‘Nautical Adventure’ takes you right up to the middle of the waterfalls. It’s an incredible ride where you get very, very wet! If you prefer to take it easy, sail along the river on the ‘Great Adventure’. With some luck, you’ll spot wildlife in the surrounding jungle and finally, marvel at the waterfalls from a safe distance. 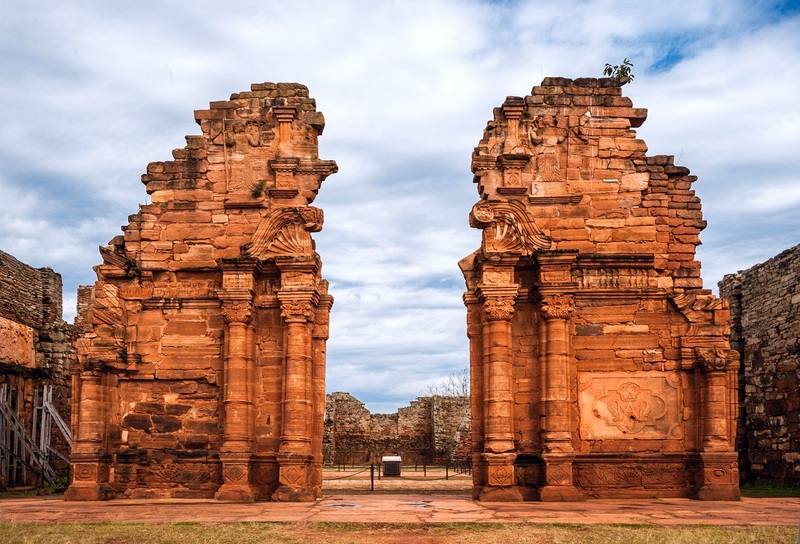 Nature lovers and adventurers may get their money’s worth in Iguazu but if you want to sweeten the deal with a dash of culture, visit the ruins of the Jesuit mission in San Ignacio. 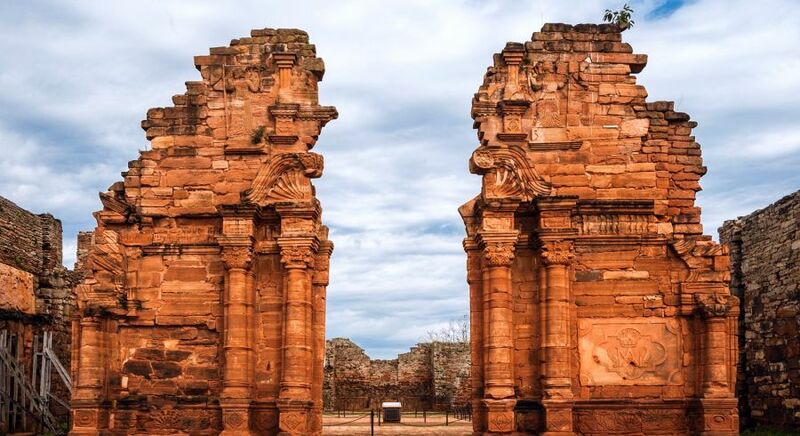 Built in 1632 and rediscovered in 1897, these well preserved buildings offer fascinating insights into the life of monks who came here to preach to the natives. 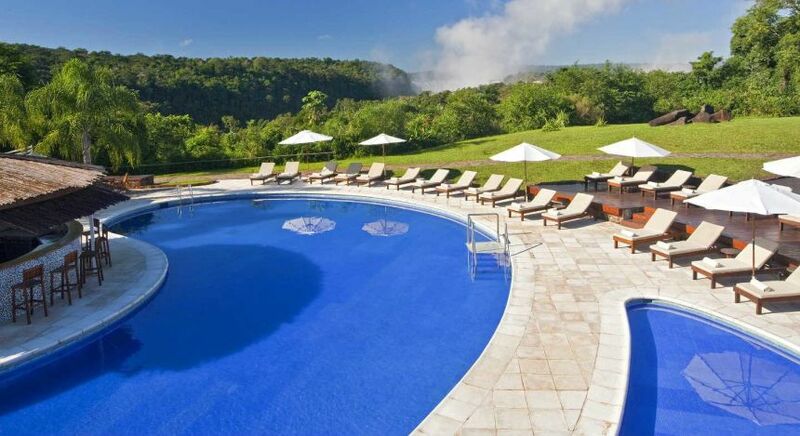 We recommend at least two days and if possible, three days at Iguazu. For the Argentine side, plan one full day or two days if possible. For the Brazilian side, you will need about three to four hours, or a whole day if you wish to visit the bird park. Iguazu: both sides in one day? Theoretically, it is possible to visit sides of Iguazu Falls in one day, but we advise against it. If you only have just a day, visit the Argentine side of the falls. Both Puerto de Iguazu in Argentina and Foz de Iguacu in Brazil have airports that serve domestic and international passengers. It’ll take you less an hour to get from the airport to the waterfalls. On the Argentine side, you can avail a 50 percent discount on your second day if you present your ticket from the first day. For this, you’ll need to have your first day’s ticket stamped by the authorities before you leave. Do I need a visa for Iguazu Falls? Please procure a visa from your consulate to visit the Iguazu Falls in Brazil. This costs USD $ 160 for, CAD $ 65 and AUD $ 35 respectively. UK passport holders do not require a visa. Do I need Yellow Fever Vaccination for Iguazu? No proof of yellow fever vaccination is required in Argentina. However, this may be required in other South American countries. Proof of yellow fever vaccination is not required in Brazil either. However, proof of vaccination may be required if you are traveling to other South American countries, e.g. Bolivia, Ecuador, Peru or Colombia. 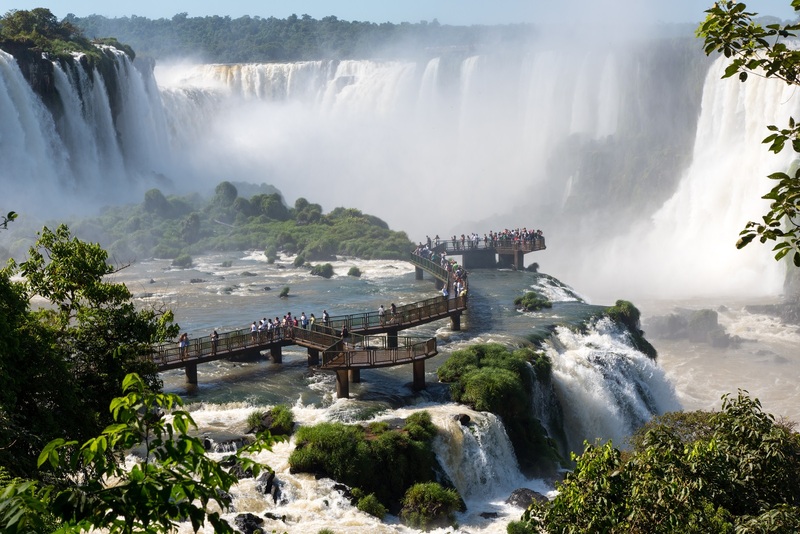 Regardless of requirements, the CDC and WHO recommend that you be vaccinated against yellow fever, rabies, typhoid, hepatitis A, and hepatitis B, before traveling to Iguazu. Please ensure that this is done at least 10 days prior to departure. Please consult your doctor or visit a tropical medicine center before you travel. If the weather permits, explore the verdant national parks on either side of the waterfalls. Many locals visit the falls during the summer months of November to February as it is holiday season in South America. During the summer months of November to February, Iguazu can get extremely hot and humid. Many locals visit the falls during this time as it is holiday season in South America! From the month of March onward, things improve considerably – the days are cooler and fewer travelers visit the national parks. In theory, you can visit the Iguazu Falls all year round, but you may find some of the pathways blocked if water levels are high. Carry sunscreen – Although the spray from the falls is pleasantly refreshing, you will still need protection from the tropical sun. Wear sunglasses and a hat, and wear waterproof sunscreen with a high sun protection factor. Protect your valuables – If you visit the Argentine side of the falls, you will definitely be sprayed! Wear light clothing that dries quickly or carry spare clothes in a waterproof backpack. A waterproof case for your smartphone/camera is a must. On your boat ride at the falls, you will be given a waterproof bag which you should definitely use – it gets very, very wet that close to the falls! Watch out for wildlife – Even if they look cute, always be careful around the ubiquitous raccoons and monkeys. When their stomach growls – and it always does – they can quickly transform into annoying pests! These little guys are adept at stealing from tourists and can get quite aggressive. Don’t leave your food unattended and do not feed the animals under any circumstances, even if you find other thoughtless tourists do exactly that. 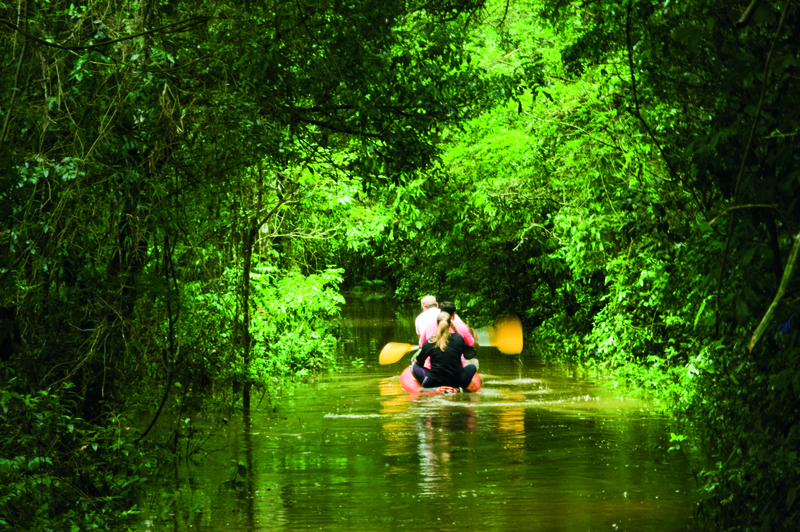 An Iguazu trip is absolutely possible for those with limited mobility. The main routes are smooth and free of barriers, that is, the Brazilian side, and the Lower Circuit and the path to Devil’s Throat on the Argentine side. 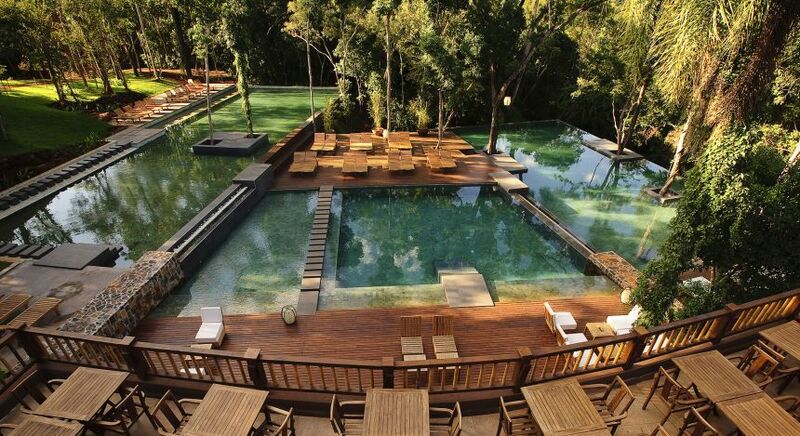 Where to stay in Iguazu? 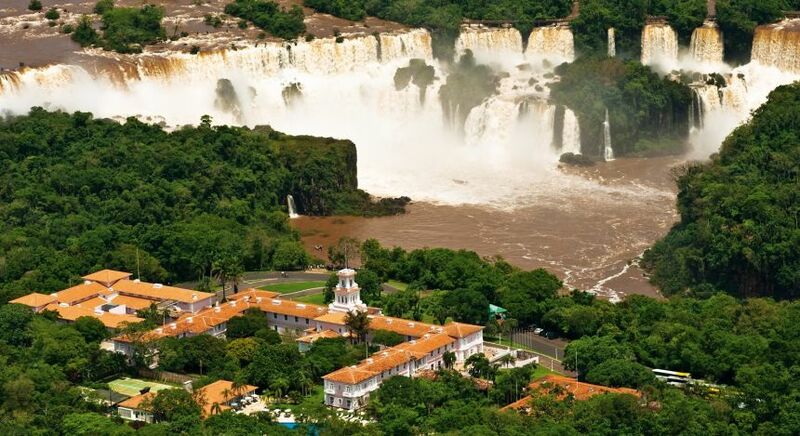 All our hotels are handpicked and personally tested to offer excellent accommodation, stellar service, and of course, the best access to the thundering Iguazu Falls. 1. Belmond das Cataras - Located within the premises of the Iguazu National Park, the hotel offers exclusive access to the magnificent views of the Iguazu falls from its Cataratas rooms. 2. 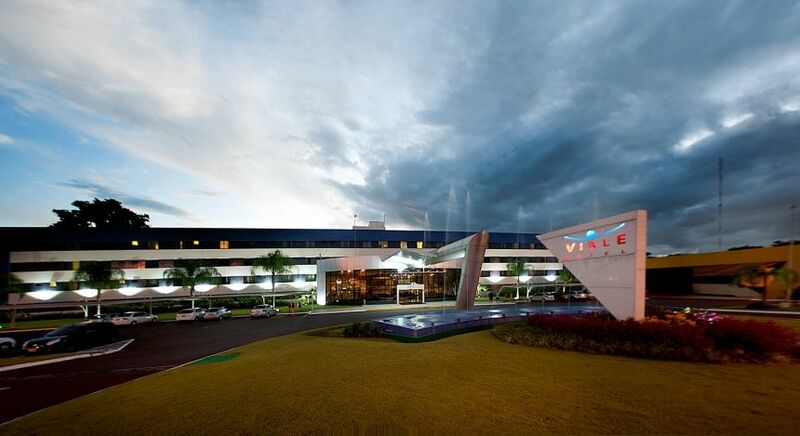 Viale Cataras Hotel – Contemporary Viale Cataratas is located on the town’s main avenue, close to the famous Iguazu Falls as well as the international airport. 3. Bourbon Convention and Spa – This sprawling property is set 12 kilometers from the falls and offers a host of outdoor activities. 1. 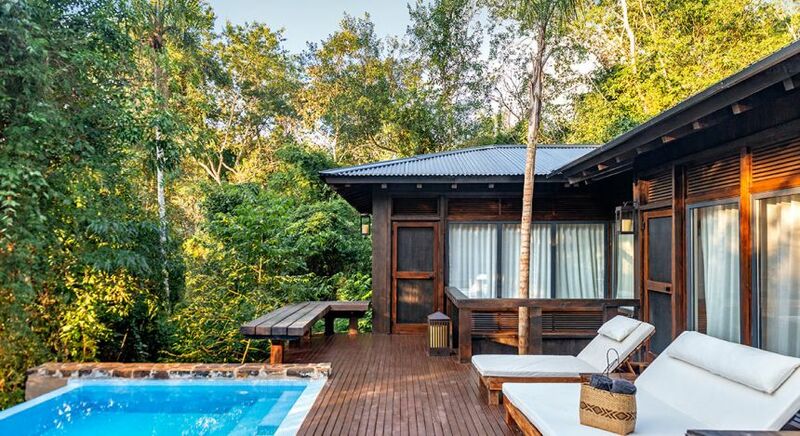 Awasi Iguazú - Barely a few minutes’ drive from the famous Iguazú Falls, this eco-friendly property offers luxurious stilted villas on the banks of Iguazu River. 2. 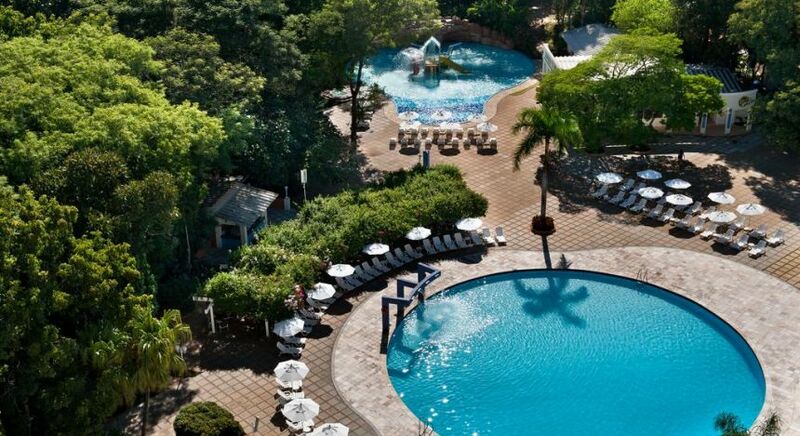 Meliá Iguazú – This is the only hotel in the national park from where you can walk to the waterfalls in just 5 minutes. Do you want to experience the largest waterfalls on our planet from up close? Contact us today and we’ll customize your South America trip to match your every wish! On the Brazilian side, a walkway along the canyon has an extension to the lower base of Devil’s Throat. 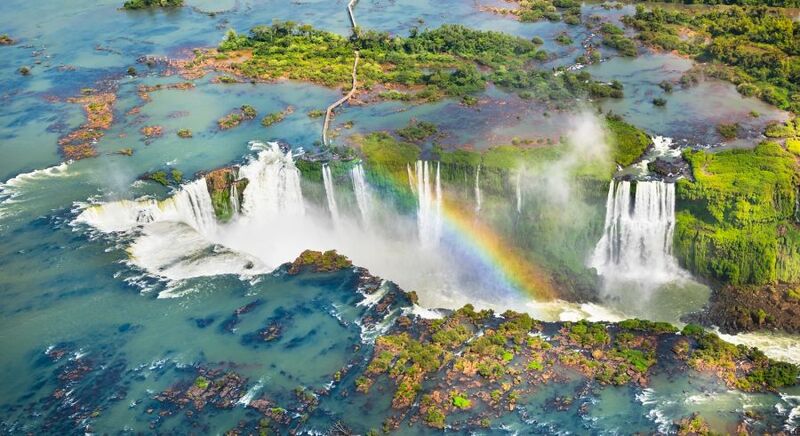 Helicopter rides offering aerial views of the falls have been available from Brazil, but Argentina has prohibited such helicopter tours because of the adverse environmental impact on the flora and fauna of the falls.